What if you only had to pay for appliance repair advertising only when you got a consumer to call your appliance repair business? What if you no longer had to pay monthly fees to keep your advertising in front of consumers in your local service area? What if you didn’t have to pay the marketing or advertising company unless they delivered results? 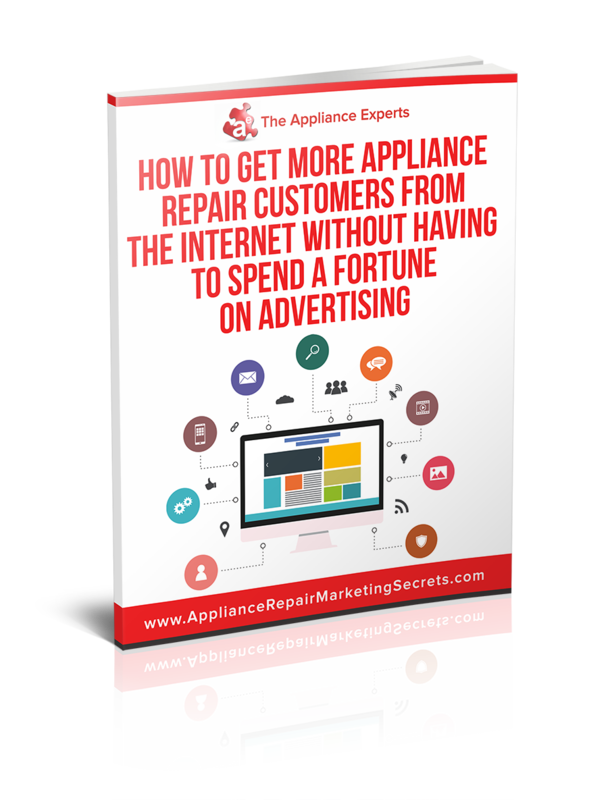 Over the last few years appliance repair companies have had another option when it comes to advertising their business that did not require monthly payments to keep their ads running, like with radio or newspaper advertising. As the name suggest you only pay when a consumer calls your appliance repair business, some lead generation companies do charge some type of sign up fees but not monthly fees, after the initial sign up fee then you just pay each time you get a phone call. Now instead of giving you a general overview of how pay per call lead generation companies work, I am just going to explain our lead generation services, since we are one of the first companies to bring it to the appliance repair industry. We are internet marketing professionals that are experts at understanding consumer behavior online, such as how, when and where potential customers for your business search online for local appliance repair services. When these targeted leads find our online properties, they will then call one of our tracking numbers that is forwarded directly to your company. Many local appliance repair business owners sometimes get caught up with the newest shiny object of online marketing such as Search Engine Optimization, Twitter, Facebook and other social media platforms and when you have a limited marketing budget, finding the right advertising medium that can actually bring in customers on a consistent basis can sometimes be challenging. Now don’t get us wrong, some of these marketing channels can be useful, but we have put ourselves in the shoes of appliance repair business owners, so we understand exactly what they need and that is customers calling them. We are online geeks, that are always testing the latest trends in online marketing, so we can take the guest work out of internet marketing for local appliance repair companies, so no more confusion and best of all no more risk, as we find the most effective methods to get targeted leads and customers to pick up their home or mobile phone and call you about your appliance repair services. As our client, all you have to do is answer the phone, that simple. No-Risk marketing, the way all other appliance repair marketing agencies should be. Wouldn’t it be great if you only had to pay for qualified calls? We are in the business of providing you with consumers in your local service area that need your appliance service now, instead of tire kickers that only want to waste your time. We are a performance driven online marketing agency like no other, that will send qualified prospects to your phone and as a result, you will see an increase in your return on investment and also your bottom line. Unlike other appliance repair lead generation companies, we actually offer our clients a guarantee, that’s how much we believe in our pay per call lead generation service and we have no problem standing behind it. We are business owners also, so we understand that when you invest money into a marketing campaign, you need to make a profit after all expenses, likewise if you invest a dollar in marketing with us you must make a profit in order for our relationship to continue. We deliver quality calls guaranteed or you don’t pay, that simple! 1. Do I need to sign a contract? Absolutely not, this is a true risk free offer, so there are no contracts to sign. 2. What if I get charged for unqualified leads? It’s not a perfect system, however if you check your account and you find any leads that didn’t qualify, such as someone outside of your service area, a solicitation or you were billed twice for the same customer because they called back, just let us know and we will review and issue you a credit within 24 hours. 3. Is your service like Pay Per Click Ads that the major search engines provide? Yes, but better, while they charge you per click, we charge per call, that way we are only delivering to you red hot prospects that need your service now. Do you know how many clicks it takes for you to get a call? (Most business owners don’t know) from our experience it can take up to 10, of course, that depends on multiple variables, but it’s definitely worth checking out to see what kind of ROI you are getting using these Ads, because if this is true for your local area, you may be paying a lot more than you think just to get one call. 4. 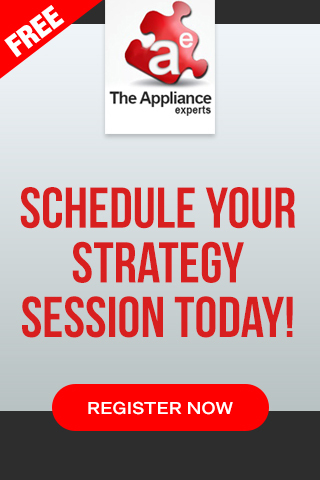 How is your service different from other appliance repair lead generation companies? We do not send the leads to your competitors, so you don’t have to worry about getting into a bidding war with your competitors and our leads are live and in real time. We also only work with one appliance repair company in each service area, so we can provide you with an exclusive territory and give you a competitive advantage. 5. How many leads per month will you send me? It depends, since our leads are sent to you in real time, we have no control over how many consumers will be searching for a particular service in a particular city in any given month, but our goal will be to get you as many appliance repair leads as possible. So my question to you now, is how many leads can you handle? 6. If I go with your service should I cancel my other advertising? To be honest, since we cannot guarantee you a specific amount of leads each month, we can’t recommend that, some days you may get 10 leads other days you may get none, so our recommendation is that you use our service to supplement your other advertising, but we encourage you to track all your forms of advertising if you are not already doing so, to see what’s working and what is not and if you find out that any of your other marketing is not making sense then you should definitely get rid of them so that you can put more money into what’s working for you. 7. How will I know the leads are coming from you? The invoice that we send to you will have a detail list of all the calls, in addition we can turn on a feature within our phone system to let you know when the call is from us, where you will hear a short recording at the beginning of the call. 8. Where do you get the leads from? All our leads come from actual consumers in your local service area using Google, Bing or Yahoo to find a local appliance repair company. These consumers will find one of our many web properties such as Ads, websites, blogs, directories and videos and then call you directly, as we set up all calls to be forwarded directly to you. Have additional questions? Contact us today, we would love to hear from you.